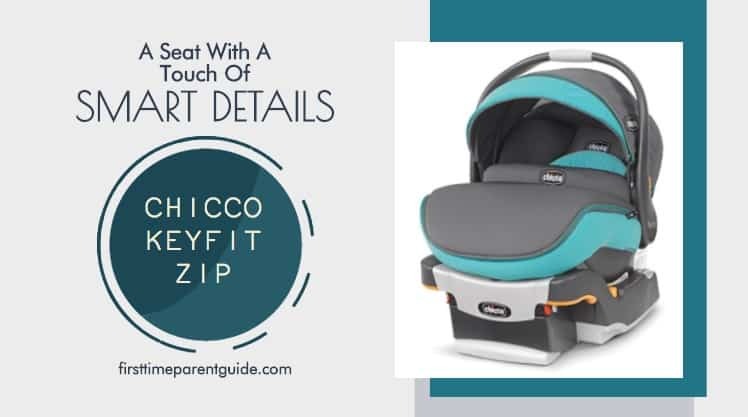 The Chicco Fit2 Infant Car Seat, although relatively new to the market, has some improved features that make it at par, if not, better, than most infant car seat nowadays. Let’s see what’s new with the improved Chicco infant seat. Will It Fit In My Car? 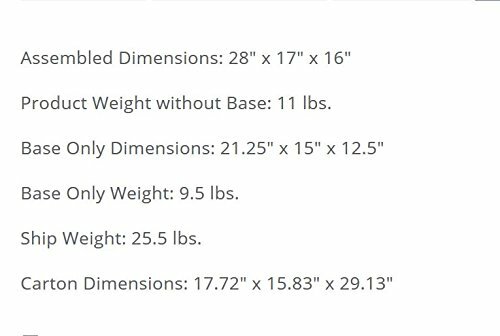 The above-mentioned dimensions are the assembled measurements. 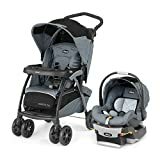 Despite the promised extra legroom for a toddler, there is not much difference in assembled size compared to the previous Chicco Keyfit 30 models. It’s primarily because once you are utilizing the extra legroom, the base’s setting makes the recline more upright so the space taken in the vehicle is just somehow the same. Installation of the Chicco Fit2 has never been easier. Using the LATCH system seems to be the easiest way to secure the base to the vehicle. Checking the level of the base is as easy as making sure that the bubble is on the center of the indicator. Should you need to do a baseless install, you can easily do so using the lap belt with the shoulder belt, or even without shoulder belt is fine. On the sides of the infant carrier, there are two belt guides where you can slide to secure the lap belt. 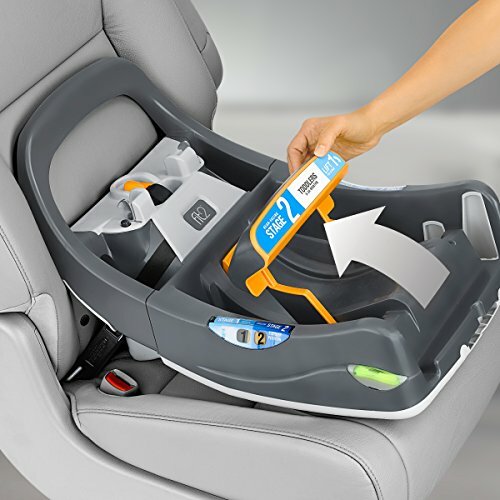 There is also a shoulder belt guide behind the infant seat for a more dummy-proof seatbelt installation. Once you are done tightening the seatbelt, you can engage the shoulder belt lock-off to double secure the installation instead of using the classic locking clip. 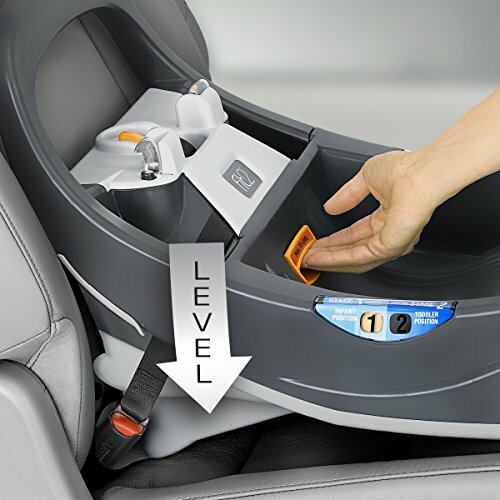 The infant carrier has an orange-colored line on the side for leveling purposes. This is useful since you wouldn’t have the bubble indicator when you are doing a baseless install. 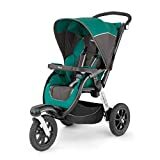 The Chicco Fit2 is made in Italy. 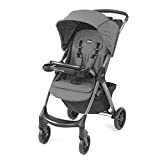 Just like the only other Italian-made infant seat Peg Perego Primo Viaggio 4-35, the Chicco Fit2 is trying to be at par with the Peg Perego, at least mainly in the elegance is it known to have. 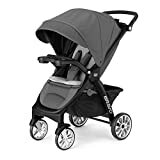 The canopy coverage of the Chicco Fit2 is not much difference when compared to the three-panel canopy Keyfits. There’s enough space between the handle and the canopy, so when trying to lift it using your hand or arms, the canopy will not get in the way of the carrying it. As your child grows, remove the canopy easily with just a push on the side buttons if your toddler’s head is already uncomfortable. 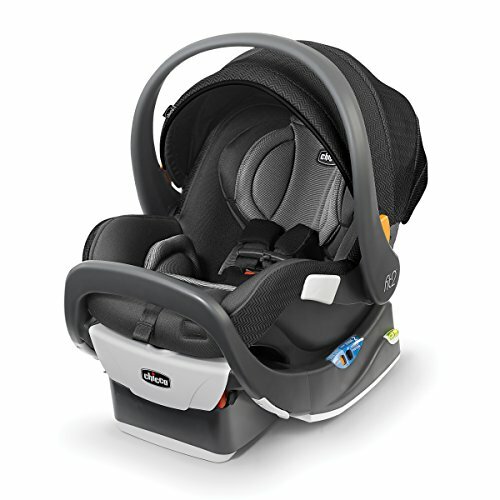 When it comes to the most canopy coverage, the Chicco Fit2 is not the best Chicco infant seat option. 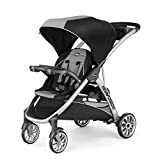 The Chicco Keyfit Magic, has the most extendable canopy. It has an option to reveal a mesh behind the seat while extending the canopy to almost cover the whole carrier. The Chicco Fit2’s fabric is probably its next selling point. Being tailor-made in Italy, it is well padded and super soft so your child’s comfort is assured especially for long rides. 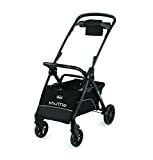 On the downside, it has become heavier – even heavier than the steel-framed Britax B-Safe 35 and just half a pound away from B-Safe 35 Elite. 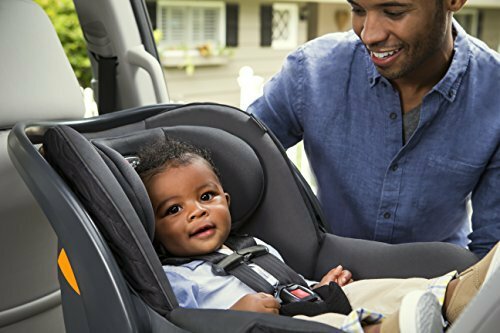 This weight increase only means one thing – you’d definitely need a compatible stroller everytime you bring the infant seat out of the car. 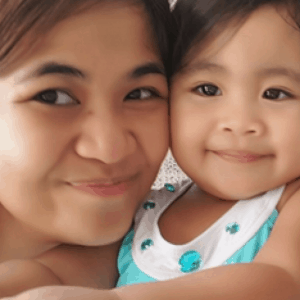 The weight itself when empty is already heavy – how much more with a growing child? 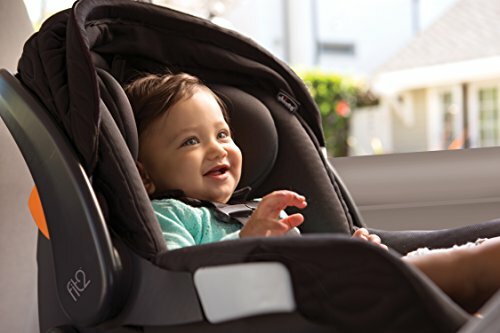 The Chicco Fit2 is roomy enough for a toddler of up to 2 years old mainly because of the ability to move the base to a different setting where an extra legroom is provided while making the recline more upright. 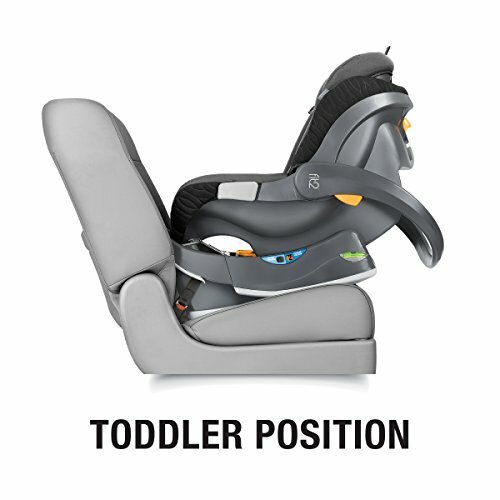 Another improvement of the Chicco Fit2 is the no-rethread seat harness. While you move the headrest up and down to seven different positions, the seat harness height also moves with it so no unnecessary time wasted on your part. Aside from the shoulder harness straps pads, there are also straps pads for the waist/leg area so that the straps will not rub directly against your child’s legs. It is a good addition since not many infant seats provide leg/waist straps pads by default. Washing the fabrics of the Chicco Fit2 can be done in different ways. The easiest would be to machine wash in a cold, delicate cycle using a mild detergent. The second one is to hand-wash it with mild soap. The last one is to spot clean it. Regardless of how you washed it, it is always advised to hang it dry instead of using the dryer. The canopy is ALWAYS for hand-washing. Product prices and availability are accurate as of the date/time indicated and are subject to change. Any price and availability information displayed on https://www.amazon.com/ at the time of purchase will apply to the purchase of this product. 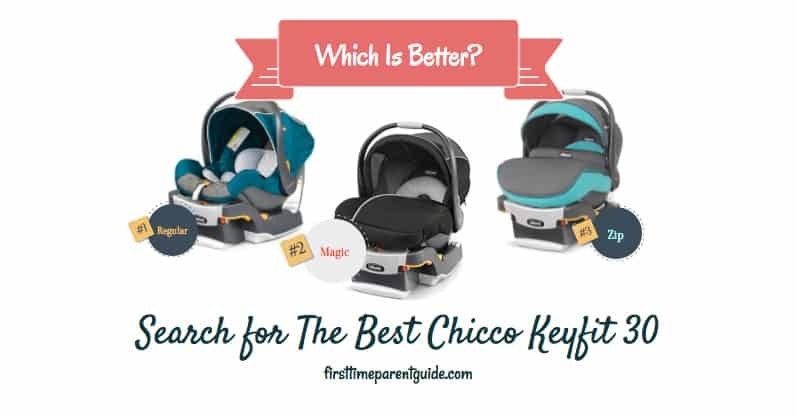 With a price increase of just around USD20 compared to the three-panel Keyfits and Chicco Keyfit Magic, there are a few notable improvements to the Chicco Fit2 model. It has increased its weight limit to 35 pounds instead of 30. It has increased its height limit to 35 inches instead of 30. The occupied space in your vehicle is almost the same despite providing extra leg room. 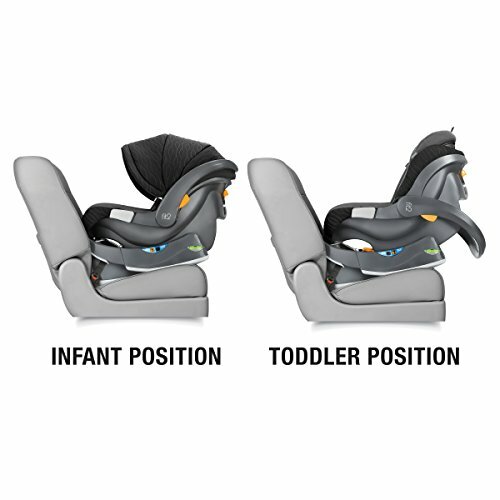 The ability to switch to a less reclined setting when your toddler is older is notable, especially for an infant seat. You can mostly only do this with a convertible car seat. It has a no-rethread harness. Is it worth getting it? I’d Say Yes To The Chicco Fit2 Infant Car Seat. But I highly suggest that you check out the feedbacks of parents who got this seat to further confirm your decision. I’d love to know your thoughts in the comments section below! Share This And Help New Parents! Hi, I am Pitin, and I am an avid researcher of baby products. 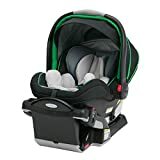 I have created this site to help first-time parents complete a practical baby registry list without wasting their money. 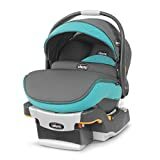 I have been searching for a safe yet durable car seat for my baby, and the Chicco seems to have a lot of great safety features. I also plan to run with her so I would likely have to get the car seat and stroller set. 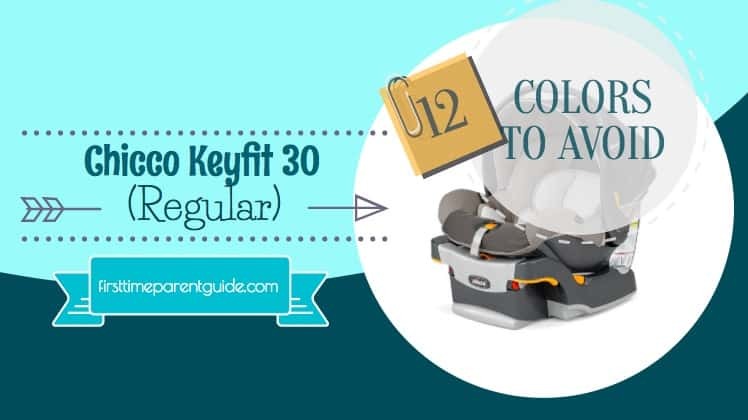 Do you know of a good jogging stroller that is compatible with the Chicco Fit2? 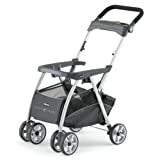 There are two Chicco Jogging strollers that stand out from the compatible jogging strollers (without adapter needed). 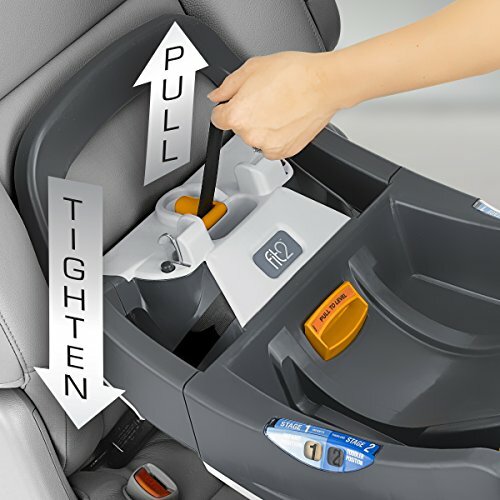 Using a BOB 2017 Single Infant Car Seat Adapter for Chicco, you can get Bob running strollers from 2011 and up, too. 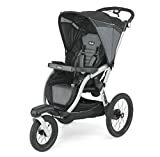 The Bob Revolution Flex Jogging Stroller (My Review Here), is one of the few very good jogging strollers. My baby is currently using this seat. 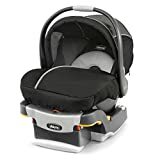 Even though it’s a really nice-looking seat and I can only assume it’s just as highly rated safety-wise as the other Chicco seats, it does have a flaw in my opinion. I don’t think it’s very comfortable for a child under the age of four or five months. 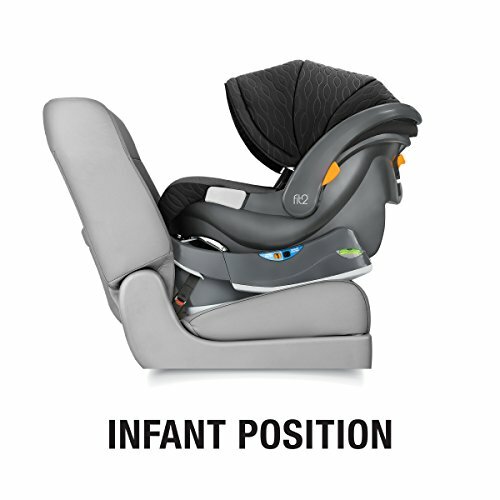 The seat “sinks in” more than other seats (I hope that makes sense) – making the baby just look too “squashed”, over bent. It just does not look right. The angle at which the baby sits just seems too uncomfortable. My baby is not happy in it, unfortunately. This is not my first baby. I’ve had two different infant seats, different brands, and this was not an issue with either. 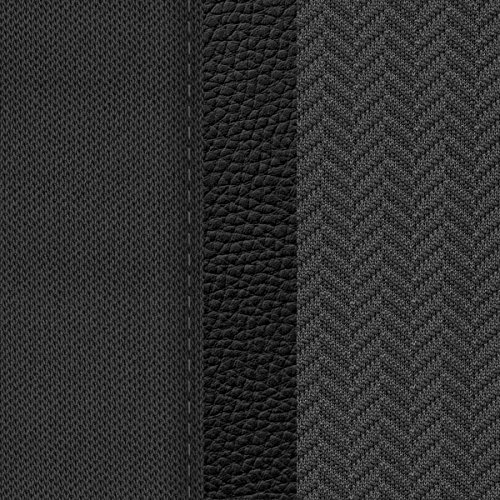 We choose the Fit2 seat for the nice material, the place it’s made from, the Euro lap system (which is great! 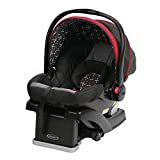 Feels more secure than the American one), the Chicco safety ratings, the fact that it can be used a bit longer than other seats, but we now don’t think it was a good investment. We are now in the market for a new infant seat. We could buy a convertible but sometimes it can be more convenient to just remove the car seat with the baby in it. Convertibles do not offer that ease. I have gone to baby stores to try other seats with my baby, and the difference in the angle at which the baby sits is obvious. 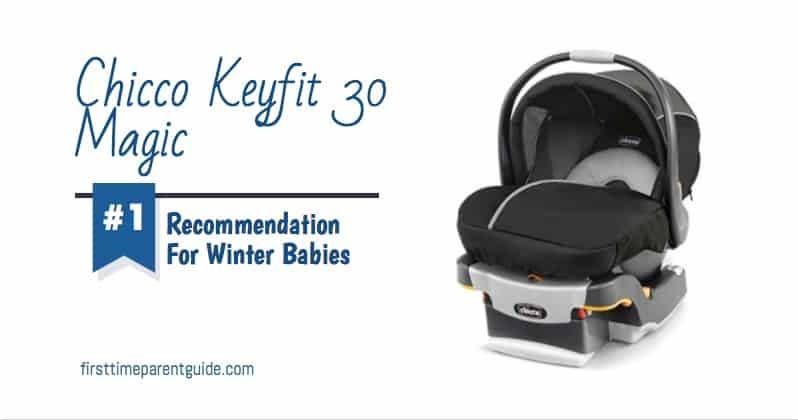 The Chicco Keyfit 30 I think would be a better option. It’s a shame, the Fit2 seat is really nice, but it was not for us. 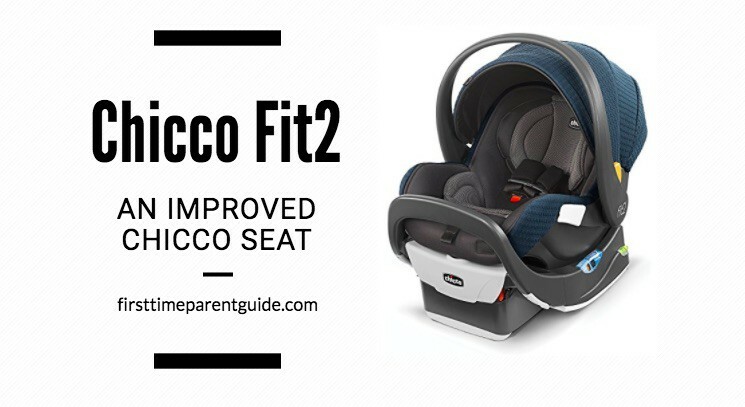 Thank you so much for sharing your in-depth thoughts and assessment of the Chicco Fit2 based on your experience. I find it very helpful and I am sure my readers will, too. This is the car seat that I have used with my last two sons (and am currently using with my 10 month old), When we were researching car seats when I was pregnant, this car seat still came up with the best features and safety rating which is why we stuck with it. My only complaint, as you touched on in your article, is the weight. It is heavy and now that I am pregnant with a baby, the weight is something that bothers me. I think when it comes to choosing an infant car seat, its weight should be one of the last things to look at. Here’s a scenario why. Let’s say there are two babies, of the same age, but with two different builds and weights. Isn’t the total weight just the same? 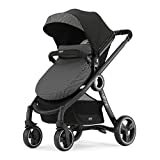 I’d say I’d look at the safety ratings, safety features and comfort it can give to the baby as a major deciding factor. 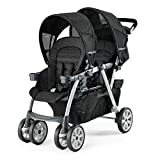 As for the comfort of the parent, you can always choose a compatible stroller to help you wheel it around, while the stroller helps you to carry the other stuff you need to deal with. Here’s a link to the top ten infant car seats in my opinion (and based on my research). You’ll see that not all lighter seats perform better. Do you know if this car seat would be compatible with a bob running stroller? 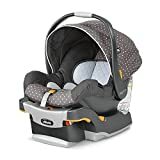 I am considering buying this car seat but I am looking for an attachment that would work for the bob because I am a runner and would like to be able to easily click in my car seat.